Institute for Women's Health (San Antonio) - Book Appointment Online! 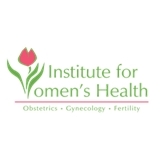 As the largest OB/GYN practice in the San Antonio region, the Institute for Women’s Health offers a comprehensive list of women’s health services. We are dedicated to providing patients of all ages with exceptional women’s health care from OB/GYN to gynecology to obstetrics.